For a long time I’ve shared the Oscars award process with people for different examples of how people might look at their own formal, best-of-the-best, award programs. After 89 years of increasingly lengthy, and sometimes boring awards events, the Oscar bubble of perfection was finally burst last nights with a big snafu. It became apparent when Warren Beatty read the wrong Best Picture winner as ‘La La Land’ when in reality the movie ‘Moonlight’ won. Yet, the Oscar Awards Ceremony still stands as an example of how you can handle mistakes even at a major awards event like the Oscars. Let’s examine the mistakes more closely, look at how everyone handled the situation, and see what lessons we can all learn from this Oscar-level error. It is important to look at all the mistakes that were made behind the scenes and on air so you can be better prepared for your own awards event. 1. Where the mistake began: Brian Cullinan and Martha Ruiz from PricewaterhouseCoopers, the accounting firm that manages the Academy member ballots, keep things under lock and key, and present the envelopes on either side of the stage depending on where the presenters come in from. 2. The handing off of the wrong winner: The presenters had mistakenly been given the wrong category envelope. 3. The beginning of the end: Warren Beatty opened the envelope and started to read things. “And the Academy Award…,” but he knew there was something wrong. Beatty showed it to Faye Dunaway and without much processing she simply read out loud, “La La Land”. 4. A stunning comeback: The producer of the incorrectly announced Best Picture winner was the person who made the correction on air of which movie really was the Best Picture Oscar winner. A mistake was made and it is important to see what happened and how they recovered from it. 2. Incorrect Winner: Jordan Horowitz, the producer of La La Land overheard what was going on with Cullinan and Ruiz. He took action by grabbing the correct envelope from the hosts and declared the real winner in front of a stunned studio audience, “This is not a joke. Moonlight is best picture.” And immediately he showed the Best Picture award card to the audience and cameras as proof. 3. The Adjudicators: PwC, the accounting firm, later made a public apology. “We sincerely apologize to Monlight, La La Land, Warren Beatty, Faye Dunaway and Oscar viewers for the error that was made during the award announcement for Best Picture. The presenters had mistakenly been given the wrong category envelope and when discovered, was immediately corrected. We are currently investigating how this could have happened, and deeply regret that this occurred. We appreciate the grace with which the nominees, the Academy, ABC, and Jimmy Kimmel handled the situation,” said PricewaterhouseCoopers, which has overseen the Academy’s ballot-counting process for the past 83 years. 4. The Other Presenter: Faye Dunaway won’t talk about it. People who have never made a mistake haven’t yet learned much about life. For your own benefit, what can you learn from this Oscar flub so you’re better prepared for any future Award celebrations? This checklist is not only for PwC, who likely have many of them that have been used 83 times before. Checklists should also be for the presenters so they know exactly what to do when they encounter a gaffe like they experienced. Create a checklist for every element for everyone involved in your formal award ceremony. 2. Presenters have a very important role. 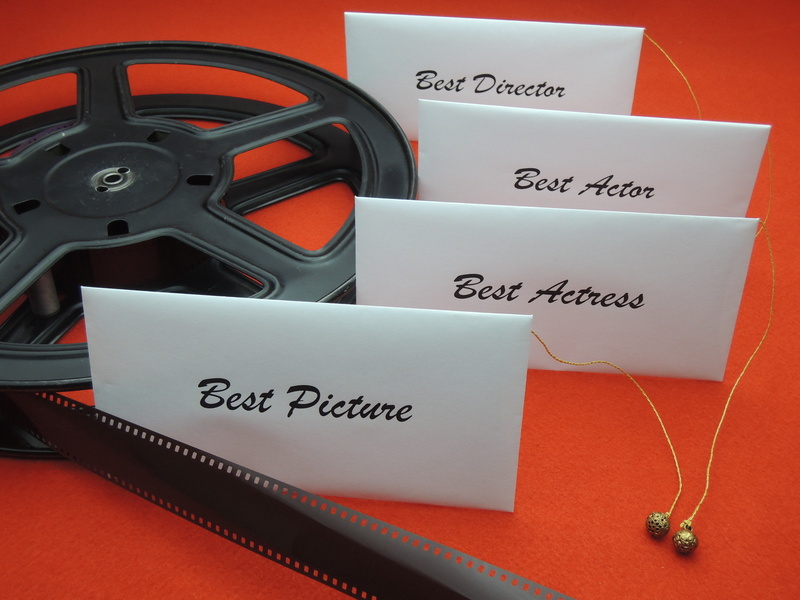 Presenters should look at and read the award name on the outside of the envelope first. Then they do a second check with the award name on the card inside. This can all be done together and verified before either one makes the final public announcement. Presenters are in control and make or break a celebration event. They have the full right of summoning organizers if they want clarification. Don’t make an announcement unless you are absolutely sure about the winner. You could see some panicking on the Dolby Theatre stage as they both realized their error. Judges must come forward quickly and deliberately to give the presenters the correct category envelope and cards when mistakes are made. Whenever you observe an error make sure you correct it right away without delay. You’ll likely never forget the 89th Oscars Academy Award event. What is more important is to never forget how you will handle an awards mistake if they crop up on your celebration stage. Questions: What celebration mistakes have you experienced and how were they corrected for future events?